12/8/18 - Now that's what it is all about Grandpa Mike taking his Granddaughter Ali fishing for the first time . Shasta Lake continues to make it happen and put smiles on fisherman's faces. 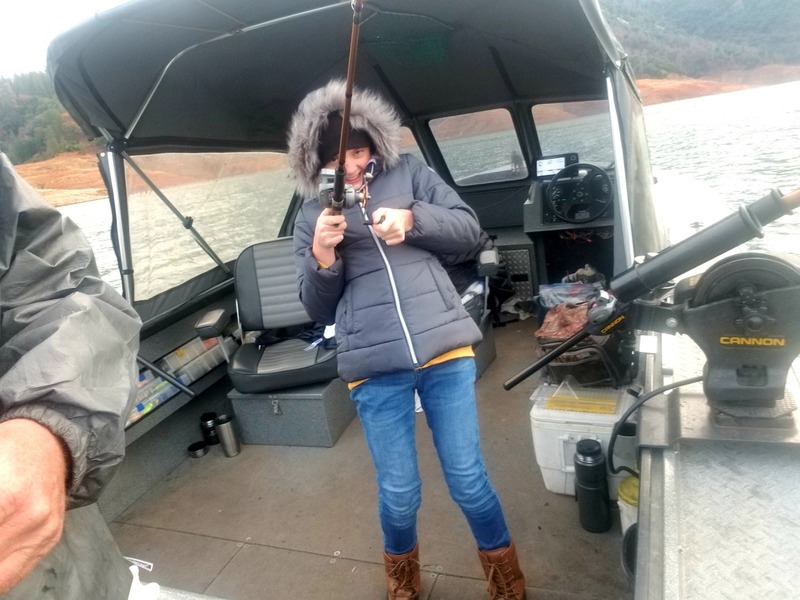 Despite the weather changes Shasta lake Trout continue bite and put up great battles. Yesterday, was no exception although we lost more fish then we landed we had action and that is what it is all about. The Trout were hanging around the 20 foot make and trolling small shad plug imitations dipped in Pro-Cure Garlic Bloody Tuna at 2 to 3 mph was what they wanted. The weather was kind of all over the place but never really bad. It was causing the fish to turn on an off but that is fishing as long as you cover a lot of water you find a biters somewhere.